Although the LPGA has completed only about 20% (7 of 34 tournaments) of its 2017 schedule, I don't think it is too early to take a look at some of the ladies that have been the biggest surprises and biggest disappointments of the year so far. Austin Ernst has been the biggest surprise of the young season. 1- Austin Ernst - Not many big surprises yet this year as all of the tournaments have been won by established players. The biggest surprise though has to be the consistent play of Austin Ernst. Austin has 1 top five finish, 3 top tens (only Ariya Jutanugarn and So Yeon Ryu have more), and 5 top twenty-five finishes. Austin finished #51 last year on the money list, and currently she is #10. 2- Moriya Jutanugarn - While everyone is watching her sister Ariya (#3 in the world), Moriya is off to the best start of her career. She has teed it up 7 times this year, and has 6 top sixteen finishes. She finished 40th on the money list last year, and is currently #16. 3- Michelle Wie - Michelle has been on my list quite a few times over the past couple of years, but in the disappointments section. This year has been another story. Just when we lowered our expectations, she is having a comeback year. She has scraped the table top putting stance, and her putting has been so much better. She has already made almost double the prize money she made the entire 2016 season when she was #105 on the money list. She already has 2 top ten finishes, and currently resides at #26 on the year's money list. 4- Marina Alex - Marina is off to the best start of her career. In just 5 starts, she has 1 top ten, and 3 top twenty-five finishes. She is currently #34 on the money list, by far the best of her career. 5- Nelly Korda - We all knew for sure who was going to win the Rookie of the Year award this year (Sung Hyun Park), but with veterans like Mel Reid joining the tour, we didn't know who would finish second. Nelly, is sure off to a good start. She already has 2 top twenty finishes, with one of them being a top five. She has made every cut, and is currently #33 on the money list. Honerable Mentions: Angel Yin, Pei-Yun Chien, Jeong Eun Lee. Na Yeon Choi has been the #1 disappointment so far this year. 1- Na Yeon Choi - One of the top players in the world for many years, she has taken a remarkable fall in a very short period of time. Her best finish this year was a tie for 60th place. She has missed the cut in every tournament that has had a cut. 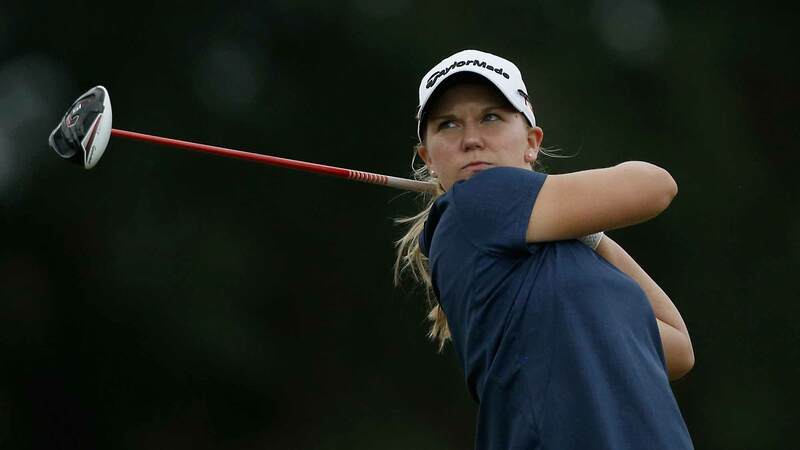 Her scoring average is an embarrassing 74.7 which ranks 143rd on a tour that currently ranks 148 players. She currently ranks #124 on the money list, and must turn things around soon if she wants to continue to play on this tour. 2- Karrie Webb - Has she finally reached the end of a brilliant Hall of Fame career? She has not finished better than 48th this year, and already has missed 3 cuts. She is currently #98 on the money list, but is in no danger of losing her card, as she has at least two exemptions she can use to retain it if need be. 3- Hee Young Park - I will be very surprised if when I do this report again later in the year, that she is still on this list. That said, she certainly deserves to be on it now. She has struggled mightily this year, with her best finish in 6 starts a tie for 37th place. She has also missed the cut in her last 3 starts, and finds herself #90 on the money list. 4- Candie Kung - Always a consistent performer, she has yet to find the magic this year. She has yet to finish better than 46th place. She finished a very solid #25 on the money list last year, but is currently #71. 5- Morgan Pressel - She has played every week, but has only managed to finish better than 42nd just once. A solid player for many years, she started tailing off last year, and this year finds herself all the way down at #66 on the money list. 6- Brittany Lang - Another player that I expect will not be on this list later in the year. Last year's U.S. Open champion does not have a top twenty finish yet this year. She finished #9 on the money list last year, and is currently sitting at #47. Others: Haru Nomura, Danielle Kang, Eun-Hee Ji, Lee- Anne Pace, Megan Khang, and Paula Creamer. Jodi Ewart Shadoff missed the cut at the ANA Inspiration. Her cut streak came to an end at 30. Ariya Jutanugarn and Moriya Jutanugarn, are the only LPGA players that have 6 top twenty-five finishes this year. So Yeon Ryu inches up one more spot to #2 in the Rolex Rankings. Lexi Thompson leaps up from #9 to #4, while Suzanne Pettersen jumps up from #21 to #17. Michelle Wie moves back into the top 100, catapulting from #105 to #75. So Yeon Ryu takes over the lead with 1,425 points. Ariya Jutanugarn is next with 1,055, followed by Lexi Thompson with 926. So Yeon Ryu has finished in the top 10 in her last eight starts dating back to last season. Lexi Thompson now has 3 top four finishes this year. She has lost 2 playoffs. Nontoya Srisawang has missed the cut in all 5 of her starts. What active player has the most career top ten finishes without recording a single victory?